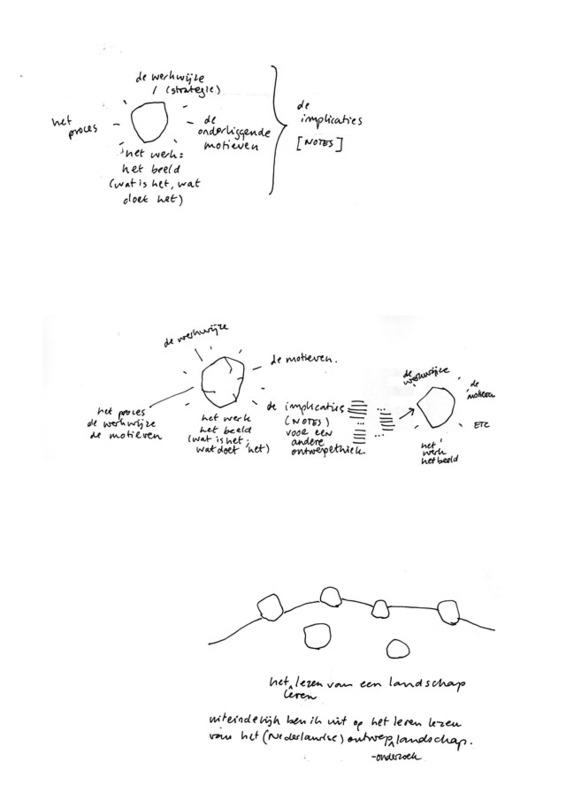 A tentative drawing to map the “fil conducteur”, the leading thread behind Field Essays, after an enlightening talk with Freek Lomme, my publisher. What am I trying to achieve with this research in the long term, and how can I achieve this? 2. Mapping these elements is like polishing rocks; one by one the workings of the work-rocks get elucidated, albeit only partly. 3. Once put in relation with one another (after Issue one, two, three…. ), these rocks might reveal a new (emerging) landscape of design, and point to its inherent potential.